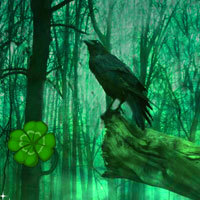 WowEscape - Wow Spiritual Forest Escape is another point and click room escape game developed by Wow Escape. In this game, you came to visit spiritual forest which is located outer of the city. But unfortunately you missed the way out in that spiritual forest. No one is there to help you. You have to escape from there by finding useful objects, hints and solving puzzle. Click on the objects to interact with them and solve simple puzzles. Good luck and have fun! Ho AO :) did you get stone bottom of tree between lamps? program loading at 800% and counting...something wrong!! I´m a long time stuck in this game. Need last leaf for tree and don´t know where to use scepter. Joanna mine also went on loading over 1000% but was OK when I refreshed page. Thanks Methanwy! Did the trick! Found my last skull slightly left and up of urn in start scene. Hi guys. Disk is the lid for the trash can. I placed 2 stones in that vase with 3 stars. I guess I need one ore stone. Gika, I've already placed three stones. Need more. Leaves in scene after hanging scene give clue for arrows on hanging bodies. I have found that leaf yvonne. you will need 5 green stones..
any idea where to use bell, hammer, 'magic ball' or 5#clue? and what to do with worm? And found another 2 after green portal. 1 on the left and 1 on the right. Use syringe on flowers (in order) and inject in pot plant to open green portal. Roberto, how to pass green portal? Really wanted to play this but could never get past the loader. Refreshing didn't work either. Clue for dot pyramid on tree over first portal. If I remember, you can find only 1 stone before opening 1st portal. Don´t forget I´m waiting for someone to find all leaves. how to open green portal? Told you Hotz. See my post at 9:20. I was way behind you guys. I had to cut the trunk with the bird, get the clue for trash can, skulls and the colors on jars. Last leaf is after the third portal. I think wow forgot to put 1 leaf in this game. Searched everywhere! Found my last leaf above place where worms go. Placed third blue ornament, but nothing happened? Oh! My! That´s the one I was missing. I could not see it, but I found it by clicking like a crazy! Thanks so much Hotz! Thanks Hotz. Off hunting for that bell. It´s there yvonne, even you cannot see it. I don´t know why make items so tiny and dimmed. At last found my last bell after finding shining ball in hanging scene. Where is shining ball methanwy? Dawn, I think it was at the base of a tree trunk on left, grey patch. back & stuck LOL - where's syringe from? can't find the no 5 flower, so can't use syringe? Where is the syringe please? POP syringe from placing all the crown like symbols in correct order. Need one more bell and where do I use the big axe? There are only four flowers for the syringe. then use it on the dead looking plant beside square green portal. POP again. use big axe on tree with red X gives final bell. Thanks for the help left here. Does it go to a million percent? Played from developer's site - great game!!! Sometimes I think the W/T makes things happen in the game. I went all over that scene pixel-hunting, but didn't see the chameleon until AΩ's comment. Loading..... loading.... loading now at 3756%!! 100% is max so why is it still going?